John Boyd has developed a singular style, one that hints at complex and unresolved narratives replete with a quiet but profound anguish. The people in his work - invariably male and wearing a markedly glum expression - either face the viewer directly or are in full profile. Even when masked, as is sometimes the case, they are clearly men bearing a weight of woe on their slumped shoulders. While the spirit of James Joyce has been evoked by some commentators, surely the character of Boyd's paintings is closer to Beckett, not least in their existential bleakness and sense of isolation. Boyd's figures, whether alone or keeping company with one another, are always placed against a plain backdrop, their dislocation only serving to emphasise their isolation. Just as with Beckett there is wit here but of a kind underscored by sadness. Although he has lived in Ireland for the past 20 years, Boyd was born in Carlisle in 1957 and studied painting at London's Slade School of Art. Boyd has exhibited internationally since the late 70s, most often in London, the US and Ireland. 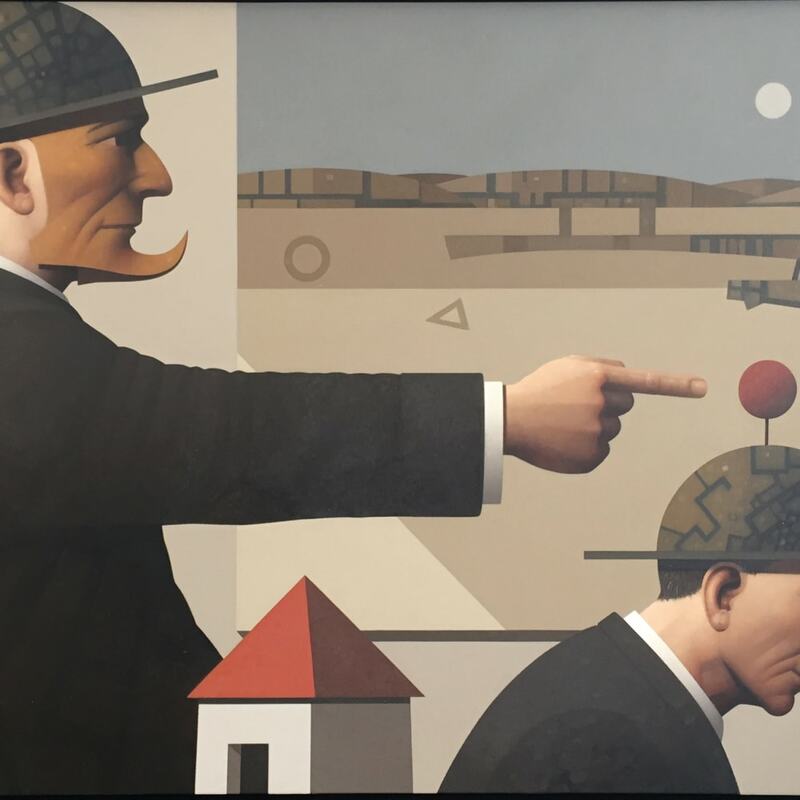 His utterly distinctive work has garnered a loyal following and is represented in numerous major collections, both public and private, in Ireland and abroad, among them AIB, Christies London, Morgan Grenfell, De Beers, Glen Dimplex, The Merrion Hotel and Mason Hayes & Curran Solicitors.